Sell Boots & Buy Notes Just an example, any item is fine. Build 1 - Crit Notes If you are getting Wind Demon you can get it before Qins and just get Qins after selling boots if tanks aren't a big issue. Artemis deals 15% increased Basic Attack damage to gods and 30% to minions who are afflicted by Crowd Control. Does not include knockbacks, blinds, or grabs. Almost all of her abilities alone have CC for long durations, pairing that with extra CC from allies give her a lot of extra damage. You don't really have to think about this passive since you will be attacking CC'd enemies anyways. Placing more than 3 traps will cause the oldest one placed to be destroyed. Targets can take damage from multiple traps at the same time. The last tick of damage is dealt after the animation and root/cripple effect are over. This ability is very versatile - there are a lot of different uses for it in different scenarios. Since it is really, really hard to land on a moving target it's mostly used after the enemy has been CC'd with a stun/root/etc. for extra damage and CC duration. You also just kind of lay these around the map and hope the enemies step on them lol - I like the put them in the middle of duo lane and in the entrances to the jungle because someone is going to eventually step on them there. Overall, I think this ability goes well with Artemis for the obvious CC to trigger her passive, it is not as nice when you don't have any hard CC on your team though. Not really much to say about this, it is a steroid ability that gives her a lot of attack speed and pretty decent movement speed as well. On top of being her main "damage" it is also her only real escape, hence her terrible mobility. On top of using this ability to attack enemies speedy quick, you can also use it to get to or from places faster. Ex: Using it to get out of base quicker. Artemis fires a volley into a ground target, suppressing all of her enemies. Enemies caught within the volley are damaged and are Slowed. Not much to say about this ability as well - it's a circle that does damage and slows enemies. This ability does trigger her passive though, so it is nice to use while boxing/chasing enemies. It also has decent range, making it a good poking ability. You can often clear wave and poke the enemies since it's a big ole circle. Artemis summons the great Calydonian Boar on her enemies, doing damage to the nearest enemy god and Stunning them, and itself. The boar is immune until he hits the first god and then continues to charge other gods for its lifetime. Artemis is also immune to Crowd Control for 1.5s. Has a radius of 55. There is a 40-degree cone in its targeter; the boar will prioritize gods within it. The Boar chooses a new target every 0.5s. Enemies can kill the boar after it becomes vulnerable, to despawn it earlier. It will also despawn if Artemis dies. I really like this ultimate a lot - there's something oddly satisfying about stunning & doing a lot of damage to enemies running away/boxing you. It can also allow you to win a team fight pretty easily, or secure/steal objectives like Firegiant. As I mentioned, it is used as an "escape" a lot of the time because it stuns enemies and gives Artemis 1.5s of CC immunity. In most cases you can get away with beads & her ultimate without having to buy Magi's Cloak. This will be your most used combo. Suppress The Insolent will trigger Artemis' passive, Still Target, and Vengeful Assault will do a lot more damage. Once again, Transgressor's Fate triggers Still Target, causing Vengeful Assault to do more damage. This is a bit harder to pull off as you have to land her Transgressor's Fate on a moving target, but it will do a lot of damage if you can do it. After you ult them, you place the trap directly under their lil feet since they are standing still. This will CC them extra long, allowing you to Vengeful Assault. So first, starting items. I really like to get Blink second relic, so choosing between beads or aegis is important - obviously, you can't always get Blink, but you should still think about your relics instead of randomly picking one. If you are against a hunter/support/jungler that have a lot of CC or 2+ stuns, get beads. Otherwise, get Aegis. If you'd like to rush Transcendence and start stacking faster, you should get Hunter's Blessing, Morningstar, and pots. I really don't recommend getting Multi Potion unless you are trying to ward immediately for some reason because it becomes useless pretty quickly. Otherwise just get Hunter's Blessing, Boots, and pots. Getting Warrior Tabi before Transcendence sacrifices stacks for speed/early power and vice versa. Decide if you are playing for early aggression or farm. You won't be doing anything too crazy early game since Artemis has pretty bad clear. You go into duo lane with your support, clear the enemy wave, and get your purple buff before the next wave comes. If you can somehow clear the first or second wave significantly faster than the enemy, try to force them under the tower and steal their purple buff while they are clearing the wave. If you are consistently out-clearing the enemies, you can start looking to steal their purple buff as well as the back camps and red buff. For this to work out you need to be warding pretty deeply because at that point you can be ganked pretty easily by the ADC, support, jungler, and mid laner. If you are being consistently out-cleared and forced under your tower, make sure you let your mid laner and jungler know that they need to be focusing the camps on that side. Otherwise, the enemies will get them and they will get ahead. If you are under tier 1 tower, you can try to call for a gank as the enemies will be pretty far from their tower. More on that later! Early game, literally all you are going to be doing is farming your lane, getting the occasional camp, and poking the enemy. If you think you can kill them, all in with her Calydonian Boar combo. Okay, so you see the opportunity to gank middle lane, right? How do you go about this? First of all, this is assuming you know when to gank and when not to gank. Early game you shouldn't be ganking at all unless the enemies have backed and there's a fight in the jungle right beside your lane. Mid-game you should gank only if you see an opportunity - ex: your middle laner is being bullied by the jungler/mid laner and their ultimate is ready. If you gank and don't get a kill, you have only lost exp & gold!! It's okay to focus objectives sometimes, you don't need to over-rotate. So basically, the enemy mid laner and/or jungler are sitting in the middle of the lane, preferably closer to your tower than theirs. You are going to go by the mid harpies in the jungle, maybe a little lower if they are by your tier 2, and blink in full alpha. Obviously, you need to be letting your mid laner know what's happening, figure out if their ultimate is ready, etc. so you two can actually do something. After you blink in, use her Calydonian Boar combo and basic attack them while your mid laner does whatever - depends on the God. It's ideal to blink in behind the enemies so your mid laner can be in front of them and you aren't having to chase them as far when they run. It's pretty much the same concept except you kind of awkwardly walk behind them and pray they don't see you until it's too late. You walk in, they are preferable by a jungle entrance so you don't have to sneak down the middle of the lane, use her Calydonian Boar combo, your mid laner does their thing, etc. You shouldn't do this, it is a bad idea, no thank you. Instead, if it's late game and there are 3+ people pushing mid, you can just go under the tower and help the mid laner clear and not be bullied. Otherwise, you don't have a purpose and you should probably just let the jungler handle it. Devourer's Gauntlet because, well, you need to stack something. And Artemis doesn't need Transcendence. It gives you significant power and lifesteal when fully stacked and works really well with basic attack oriented Hunters. Obviously, if you are playing a non-Conquest game mode and can't be bothered to stack with what little minions you are provided with, Bloodforge towards the end works fine. It's really only "core" in Conquest. Warrior Tabi because you like to go the average speed of a human. Or god. Ninja Tabi is a nice alternative if you are building Silverbranch Bow or just want extra attack speed, you will be sacrificing some power for it though. The Executioner for penetration, power, and attack speed - you will consistently be reducing your enemies protections by 36%. If you are going to be going crit, I really recommend these items. [Poisoned Star]] and Wind Demon give you attack speed, power, and 35% crit together. I really like the passives as well - I don't feel like you are sacrificing anything to get crit with these items because they have what Artemis needs. Deathbringer for the power, crit, and passive obviously. If you are going against a tankier team and still want to go crit, it may be smarter to get Rage in place of some of these items and then get Qin's Sais and maybe Titan's Bane. Malice is terrible right now and the passive does nothing for Artemis. Just get Deathbringer. Overall, Artemis benefits from allies with heavy CC as it triggers her passive and allows her to use Transgressor's Fate much more easily. She also does well with burst mages because she can root/stun making it hard for them to miss their abilities. ALLY: He works really well with Artemis! When he uses his Frost Breath, you can easily place Transgressor's Fate under their CC'd feet. Late game you can potentially make an enemy just... stand still for 4.25 seconds every 15ish seconds. Shards of Ice triggers Still Target so you can just stand there with Vengeful Assault and basic attack them while Ymir prepares to ruin their career. You can also use Suppress The Insolent to slow them by 65% total. Good Guide. Might I suggest a QOL update in your ability section? Perhaps include an icon hover link so people can see the full ability description as they're reading instead of having to move back up to the top. Is Transcendence/ Asi worthing more than Devourer's Gauntlet on her? I will say Trans on Art was a thing in the past too...when Devo's was at a low point especially. I DO think maintaining a Devo's build direction is still functional. I do that for my Medusa guide, both Devo's and Trans, cuz both can work well for her. 141959 Branmuffin17 Okay, so yeah...don't just take my word for it. For all you know I could be completely wrong XD I will say Trans on Art was a thing in the past too...when Devo's was at a low point especially. I DO think maintaining a Devo's build direction is still functional. I do that for my Medusa guide, both Devo's and Trans, cuz both can work well for her. Is dev still core on Art? DukeSloth has been talking a lot about the Transcendence/ Asi combination due to the latter's buff. What are your thought on it? Oh, and I echo DV-8's comments and gave you my +1. 141744 Gulfwulf Is dev still core on Art? DukeSloth has been talking a lot about the [[transcendence]]/[[asi]] combination due to the latter's buff. What are your thought on it? Oh, and I echo DV-8's comments and gave you my +1. I haven't tried the new "unicorn" build, so don't change it on Sloth's account. Test it out and see how you like it. I don't play much Conquest, but I do watch a lot of Sloth's videos, so I was wondering if you had an opinion on the meta change. Trans does give you more power for crits I think and Asi covers lifesteal quite nicely, plus you can replace it late with Bloodforge for that extra power. 141790 Gulfwulf I haven't tried the new "unicorn" build, so don't change it on Sloth's account. Test it out and see how you like it. I don't play much Conquest, but I do watch a lot of Sloth's videos, so I was wondering if you had an opinion on the meta change. Trans does give you more power for crits I think and Asi covers lifesteal quite nicely, plus you can replace it late with [[bloodforge]] for that extra power. So I think there might be a placebo effect going on with Asi...Devo's has 24%, while Asi base has 20. If you're talking Trans/Ninja/Asi or Devo's/Warrior/Exe, you're actually getting around the same lifesteal per hit, because each hit is doing more damage with the Trans build. And then of course when you get to low health, Asi is far superior. Things to think about with overcap. If enemies build AS slow items (Midgard, Witch), get Horrific, or the god has AS slow in their kit, your overcap isn't going to be much, if at all. And although you might overcap with the steroid and not get quite the full boost efficiency, when it's NOT up your DPS is going to be higher than if you tuned your build just to hit AS with the steroid. So it's not necessarily bad to overcap, as long as it's a reasonable amount. 141876 Branmuffin17 So I think there might be a placebo effect going on with Asi...Devo's has 24%, while Asi base has 20. If you're talking Trans/Ninja/Asi or Devo's/Warrior/Exe, you're actually getting around the same lifesteal per hit, because each hit is doing more damage with the Trans build. And then of course when you get to low health, Asi is far superior. Things to think about with overcap. If enemies build AS slow items (Midgard, Witch), get Horrific, or the god has AS slow in their kit, your overcap isn't going to be much, if at all. And although you might overcap with the steroid and not get quite the full boost efficiency, when it's NOT up your DPS is going to be higher than if you tuned your build just to hit AS with the steroid. So it's not necessarily bad to overcap, as long as it's a reasonable amount. Asi's great pretty anytime you need lifesteal; bloodforge is more of a late item: 5th or 6th and can replace Asi so you're not overcapping your AS. I'd get Asi early for the extra as, then replace it with bf late after you've gotten other as items like exe. 141873 Gulfwulf Asi's great pretty anytime you need lifesteal; bloodforge is more of a late item: 5th or 6th and can replace Asi so you're not overcapping your AS. I'd get Asi early for the extra as, then replace it with bf late after you've gotten other as items like exe. DON'T REPLACE ASI. Asi is not a replaceable item anymore...it's a key component of a build, and provides some crazy lifesteal when you need it. You can double up with Asi + BF if you'd like, but yeah, Asi earlier, BF late, if you really want to do that. 141875 Branmuffin17 DON'T REPLACE ASI. Asi is not a replaceable item anymore...it's a key component of a build, and provides some crazy lifesteal when you need it. You can double up with Asi + BF if you'd like, but yeah, Asi earlier, BF late, if you really want to do that. It's not necessary, but can work depending. 141899 Branmuffin17 It's not necessary, but can work depending. What about devourers + asi builds on Artemis? 141900 Kriega1 What about devourers + asi builds on Artemis? Yeah late asi as Tabi replacement in that case with normal early Devo's stacking. Counter anti heal or nemean reasonably well. Yeah? 141901 Branmuffin17 Yeah late asi as Tabi replacement in that case with normal early Devo's stacking. Counter anti heal or nemean reasonably well. Yeah? No I mean devs, boots, asi, exe, qins ,titans, sell boots for whatever. Though I guess boots replacement works too. 141904 Kriega1 No I mean devs, boots, asi, exe, qins ,titans, sell boots for whatever. Though I guess boots replacement works too. I've never tried, and maybe it's functional. That's a bit like Bancroft Shoes Typhon's but for physicals. Asi does have a lot of good stats that makes it a functional 3rd item. Just typically my mind rebels at the thought of 2 phys lifesteal items that early. I should try it sometime, before they nerf Asi. 141913 Branmuffin17 I've never tried, and maybe it's functional. That's a bit like Bancroft Shoes Typhon's but for physicals. Asi does have a lot of good stats that makes it a functional 3rd item. Just typically my mind rebels at the thought of 2 phys lifesteal items that early. I should try it sometime, before they nerf Asi. once they nerf Asi, will Artemis go back to using devs instead of trans? or? 141952 Perfectium once they nerf Asi, will Artemis go back to using devs instead of trans? or? 141993 Kriega1 Asi is getting nerfed? This is speculation due to the potential overtuning of asi and ich. It might not happen. 141996 Branmuffin17 This is speculation due to the potential overtuning of asi and ich. It might not happen. Depends on the level of nerf. 141977 Branmuffin17 Depends on the level of nerf. Gulf, I think you keep ignoring me. Why do you forsake me? I've continued to say the old Trans/Asi path is going to be solid, since the theorycrafting post upon seeing the changes to Asi. Anyway...obviously she still usually wants to take advantage of her passive. But if we look at Perfectium's first build before Tabi replacement (e.g. no Runeforged) at level 20 on an enemy with 68 phys prots, we're looking at 769 average DPS without steroid (1.935 AS), and 994 DPS with steroid (2.5, max AS). Those values assume the enemy is under CC from PS. If we take a Trans crit path, it would probably look like: Transcendence, Ninja Tabi, Asi, The Executioner, Wind Demon, Deathbringer. That's 859 average DPS without steroid, and 1058 DPS with steroid. If you preferred to go Poisoned Star instead of WD as first crit item, and we assume the enemy will be under CC, it would be 788 DPS without steroid, 1042 DPS with steroid. Also...in this case, Ninja is the superior DPS option, even as early as immediately after Trans. Go Ninja. Both Trans paths outdamage Devo's, and it'll be even higher once you replace Tabi. The question then becomes, what do you value where? Power: Devo's will be cheaper than Trans by a bit, so you might get it online a bit sooner. Trans should start at a higher power once it's purchased, and will end with higher power. Early DPS advantage goes to Trans. Also never have to worry about mana. Sure, Art isn't a super mana hog, but she can poke more often with her 3. That's a nice advantage for clear as well. Lifesteal: Obviously Devo's wins out here in the early game. Early sustain is nice, but when you're not dealing a lot of damage, the lifesteal only counts for so much. A few early Health Potions might cover things, or if for example you've got a healing support, you might be okay. Later, Asi is just the superior lifesteal item. The lifesteal % is roughly the same without Asi's passive...when you're low health, it blows Devo's lifesteal out of the water. Build paths: With the Devo's build, you can get Exe online sooner (as soon as after Tabi) for stronger DPS against tanks if they're at a point where their phys prots are over 100. But around 100 or less, Trans Ninja Asi is right around the same DPS, WITHOUT the Exe stacking. At this point, it's hard to argue against the Trans path, IMO. 141802 Branmuffin17 Gulf, I think you keep ignoring me. Why do you forsake me? I've continued to say the old Trans/Asi path is going to be solid, since the theorycrafting post upon seeing the changes to Asi. Anyway...obviously she still usually wants to take advantage of her passive. But if we look at Perfectium's first build before Tabi replacement (e.g. no Runeforged) at level 20 on an enemy with 68 phys prots, we're looking at 769 average DPS without steroid (1.935 AS), and 994 DPS with steroid (2.5, max AS). Those values assume the enemy is under CC from PS. If we take a Trans crit path, it would probably look like: [[Transcendence]], [[Ninja Tabi]], [[Asi]], [[The Executioner]], [[Wind Demon]], [[Deathbringer]]. That's 859 average DPS without steroid, and 1058 DPS with steroid. If you preferred to go [[Poisoned Star]] instead of WD as first crit item, and we assume the enemy will be under CC, it would be 788 DPS without steroid, 1042 DPS with steroid. Also...in this case, Ninja is the superior DPS option, even as early as immediately after Trans. Go Ninja. Both Trans paths outdamage Devo's, and it'll be even higher once you replace Tabi. The question then becomes, what do you value where? [list][*]Power: Devo's will be cheaper than Trans by a bit, so you might get it online a bit sooner. Trans should start at a higher power once it's purchased, and will end with higher power. Early DPS advantage goes to Trans. Also never have to worry about mana. Sure, Art isn't a super mana hog, but she can poke more often with her 3. That's a nice advantage for clear as well. [*]Lifesteal: Obviously Devo's wins out here in the early game. Early sustain is nice, but when you're not dealing a lot of damage, the lifesteal only counts for so much. A few early [[Health Potion]]s might cover things, or if for example you've got a healing support, you might be okay. Later, Asi is just the superior lifesteal item. The lifesteal % is roughly the same without Asi's passive...when you're low health, it blows Devo's lifesteal out of the water. [*]Build paths: With the Devo's build, you can get Exe online sooner (as soon as after Tabi) for stronger DPS against tanks if they're at a point where their phys prots are over 100. But around 100 or less, Trans Ninja Asi is right around the same DPS, WITHOUT the Exe stacking. [/list] At this point, it's hard to argue against the Trans path, IMO. Bran, you're saying that Trans builds are more useful for Artemis in this meta? It it due to the scaling of her 1 and her ult? Also, does this apply to other hunters as well? Since we're talking about Artemis, isn't Runeforged Hammer a viable item for her, due to her passive? Does it fit into a normal build? 141805 Vini_sds Bran, you're saying that Trans builds are more useful for Artemis in this meta? It it due to the scaling of her 1 and her ult? Also, does this apply to other hunters as well? Since we're talking about Artemis, isn't [[Runeforged Hammer]] a viable item for her, due to her passive? Does it fit into a normal build? Yes, it looks like overall, Trans builds are just better in general than Devo's at this point. It's due to 2 tangible things...Trans' higher power and the Asi rework. And when I'm talking DPS, I'm just talking basics (the main concern of most hunters)...not even the intangibles like ability damage, more ability use due to the 10% CDR, not running out of mana, etc. In general, I'd say this can apply to other hunters as well. And yes, Runeforged is viable. Its rework with the higher power, and the fact that this game is full of CC, allows this to be functional. And then of course you consider the specific hunters that have good CC to get use out of Rune. Either they benefit from crit builds like Art building PS, or they have long-lasting CC in their kits, like AMC or Cern. And you can build Rune early for the extra survivability, or build it late. With the ability to replace Tabi late, you can easily fit it into a build while still covering your core items. 141808 Branmuffin17 Hey Vini, Yes, it looks like overall, Trans builds are just better in general than Devo's at this point. It's due to 2 tangible things...Trans' higher power and the Asi rework. And when I'm talking DPS, I'm just talking basics (the main concern of most hunters)...not even the intangibles like ability damage, more ability use due to the 10% CDR, not running out of mana, etc. In general, I'd say this can apply to other hunters as well. And yes, Runeforged is viable. Its rework with the higher power, and the fact that this game is full of CC, allows this to be functional. And then of course you consider the specific hunters that have good CC to get use out of Rune. Either they benefit from crit builds like Art building PS, or they have long-lasting CC in their kits, like AMC or Cern. And you can build Rune early for the extra survivability, or build it late. With the ability to replace Tabi late, you can easily fit it into a build while still covering your core items. Trans gives you more power than devo and Asi's recent buff makes it viable as the sole lifesteal item again. 141806 Gulfwulf Trans gives you more power than devo and Asi's recent buff makes it viable as the sole lifesteal item again. 141803 Gulfwulf Who are you again? Looking great so far! I'm eager to see how the rest goes. I also feel familiar enough with Artemis to offer ideas to be considered for the guide. 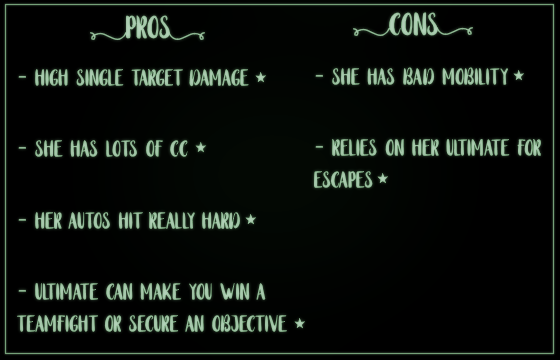 Currently, I feel that some of the skill descriptions ("My Thoughts" portions) could be elaborated on. For example, under Suppress The Insolent, you might mention that it makes a powerful poke tool that can gradually deplete enemy health during the laning phase. For Calydonian Boar, I think more emphasis could be placed on the CC-Immunity aspect of the ability. That's a major part of the ability in my opinion, and gives you a lot of safety against high-CC enemy comps, especially when combined with Purification Beads. Also, you could perhaps mention that the boar's target radius travels with it as it moves from target to target, allowing it to travel very far in certain scenarios. For Transgressor's Fate, I think a main function of this ability is piggy-backing off of your support/other allies' Crowd Control. As you mentioned, landing this ability free-hand can be difficult, which is why I recommend using it on already CC'ed enemies for extended lockdown. This will give you and your teammates an easy target. I also understand that you plan to go over more details of these abilities in the Tips/Tricks section, but I feel that a bit more general information could enhance this section. Again, nice work so far, and thank you for sharing! 141737 DV-8 Looking great so far! I'm eager to see how the rest goes. I also feel familiar enough with Artemis to offer ideas to be considered for the guide. Currently, I feel that some of the skill descriptions ("My Thoughts" portions) could be elaborated on. For example, under [[Suppress the Insolent]], you might mention that it makes a powerful poke tool that can gradually deplete enemy health during the laning phase. For [[Calydonian Boar]], I think more emphasis could be placed on the CC-Immunity aspect of the ability. That's a major part of the ability in my opinion, and gives you a lot of safety against high-CC enemy comps, especially when combined with [[Purification Beads]]. Also, you could perhaps mention that the boar's target radius travels with it as it moves from target to target, allowing it to travel very far in certain scenarios. For [[Transgressor's Fate]], I think a main function of this ability is piggy-backing off of your support/other allies' Crowd Control. As you mentioned, landing this ability free-hand can be difficult, which is why I recommend using it on already CC'ed enemies for extended lockdown. This will give you and your teammates an easy target. I also understand that you plan to go over more details of these abilities in the Tips/Tricks section, but I feel that a bit more general information could enhance this section. Again, nice work so far, and thank you for sharing! thank you!! I agree there isn't much elaboration on her abilities so I'll update those rn.